Analog of A151725, but here we are working on the triangular lattice (or the A_2 lattice) where each hexagonal cell has six neighbors. A cell is turned ON if exactly one of its six neighbors is ON. An ON cell remains ON forever. We start with a single ON cell. It would be nice to find a recurrence for this sequence! 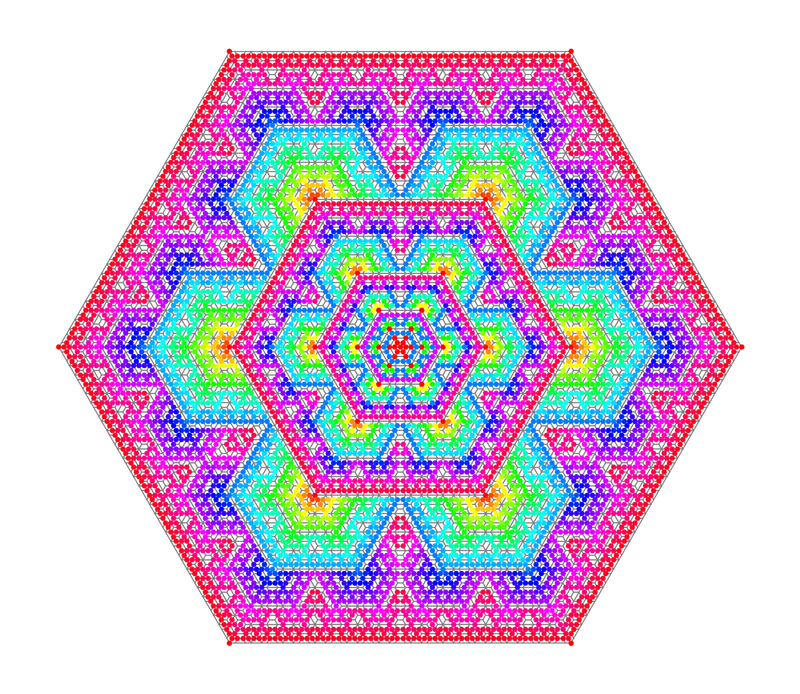 Bradley Klee, Log-periodic coloring, over the half-hexagon tiling. a(n) = 6*A169780(n) - 6*n + 1 (this is simply the definition of A169780). Cf. A147562, A151724, A151725, A161206, A161644, A169779, A169780, A170898, A170905, A182632, A182840, A256536, A256537.